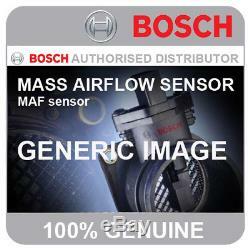 BMW 540 i 96-03 281bhp BOSCH MASS AIR FLOW METER SENSOR MAF 0280217814. IN STOCK AVAILABLE TO ORDER TODAY. Type: BOSCH HOT-FILM AIR-MASS METER. Fits from Date: 01.1996. Fits up to Date: 07.2003. Engine Code: 44 8S 1/2. Part Type: Hot-Film Air-Mass Meter. Specification: Brand New Genuine Bosch part supplied direct from Bosch UK. Description: PETROL - AIR LOAD SENSORS. Product Group: PETROL - AIR LOAD SENSORS. Picture Note: This is the exact Bosch picture of the part number supplied (out of packaging). This product has no reviews yet, however see what our buyers say about our other products.. To maintain our service we only select the market leading couriers to deliver our orders. Same Day Dispatch, Monday - Friday. A select few items may have a longer lead time as they may be specially ordered from our manufacturers. For any customers outside the UK mainland, Northern Ireland or Isle of Man, we can arrange, on your behalf, for your items to be delivered via a third party company within the UK who will then deliver directly to you. We want to give you a hassle-free way to return anything, either as a UK or an International customer. We want you to be totally satisfied with your order, so if for any reason its not suitable we are here to help. Once the item arrives back at our warehouse, a member of our customer service team will contact you within 24hrs to discuss the return. And we will be happy to assist you further. During festive and sales periods this may be extended slightly. We specialise in supplying quality brands at competitive prices and are authorised dealers for BOSCH, NGK & NTK. Other items in this category. The item "BMW 540 i 96-03 281bhp BOSCH MASS AIR FLOW METER SENSOR MAF 0280217814" is in sale since Wednesday, September 26, 2018. This item is in the category "Vehicle Parts & Accessories\Car Parts\Air Intake & Fuel Delivery\Air Intake & Fuel Sensors". The seller is "powersparks" and is located in Lancashire. This item can be shipped worldwide.